Gantry Cranes are used to lift very heavy loads with the help of a hoist that is fitted to the trolley meant for moving horizontally on the rails present on the beams. 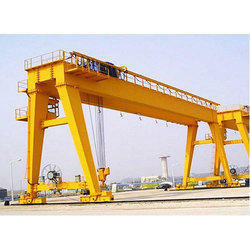 The cranes are robust in built and absolutely flawless and manufactured using the best materials. Mobile Floor Crane offered come designed and developed using latest technology support and is designed and developed to provide for safe and reliable usage. Allowing high efficiency and energy saving performance, these cranes provide for flexible operations and support the demands of handling short-range and intensive lifting process needs. Some of its features include finding use in areas like workshops, warehouses, and other places; compactly designed finish to deliver excellent performance; providing for improved space utilization; offering smooth and fast loading action; comes with the support of step-less frequency conversion control system; a perfect braking system for improving safety and process reliability. 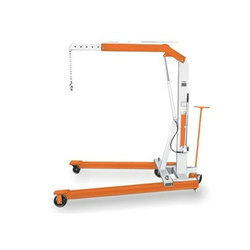 Looking for Material Handling Crane ?